Phacus gigas; specimen from (1). 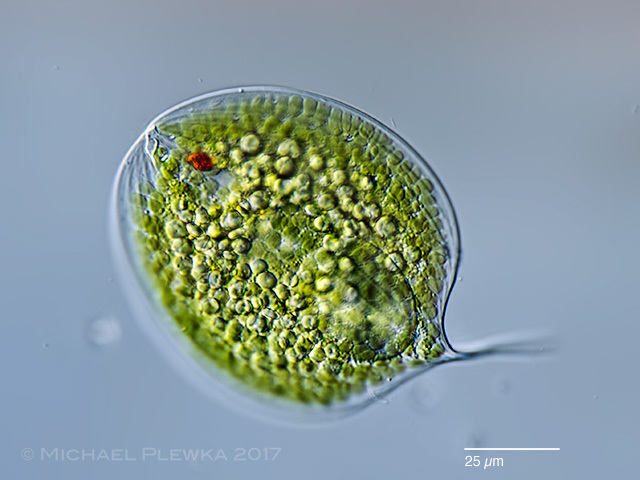 Visible are the red "eyespot" (on the right, anterior side), the single big paramylon grain (on the caudal side); and many small chloroplasts and paramylon grains. Phacus gigas; the same specimen from (2), partly compressed. 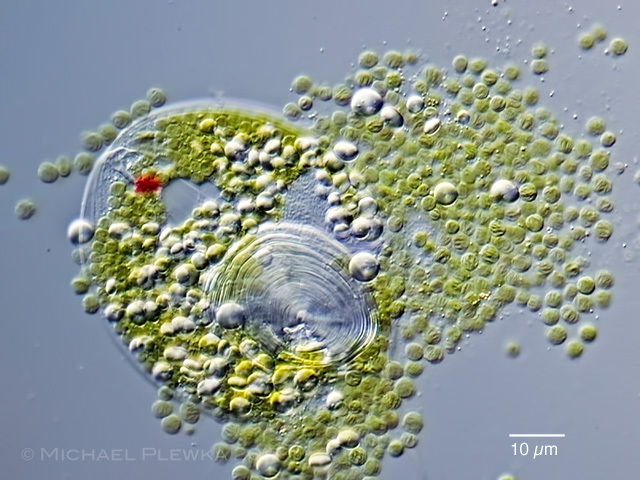 The image shows that P. gigas has one big paramylon grain (visible in the center of the image) and many small colorless circular or ellipsoid paramylon grains. 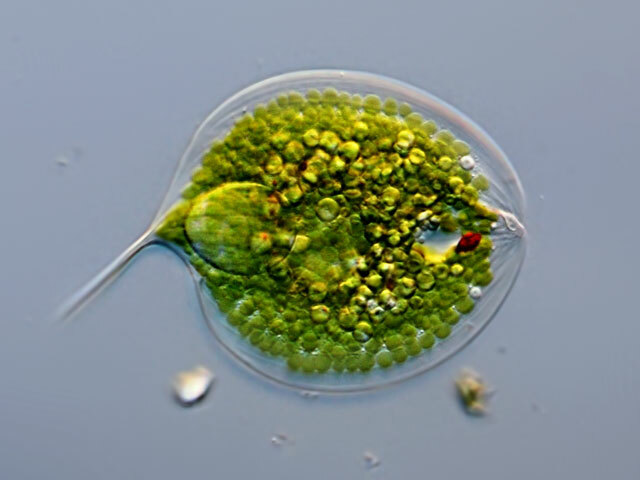 Also visible are the green chloroplasts and the red "eyespot".